You run a business. It reflects your vision, your sacrifice & your dedication. We help you keep moving forward. Of course we know digital marketing, but importantly, we deeply understand the heart of small business. One client per profession/per market served. When you partner with us, we represent you only. 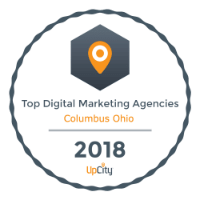 No other digital marketing agency does this; none. ​Your success is our focus. We have never lost a client. Have you got 20 minutes? Let's talk strategy. ​What is Facebook doing about clickbait? ​Integrity & Success are the same path. Critical local marketing tips to get noticed.